The first volume of the Who Is Blues series presented by blues writer and biographer Vincent Abbate takes on the life of story-telling troubadour Doug MacLeod. 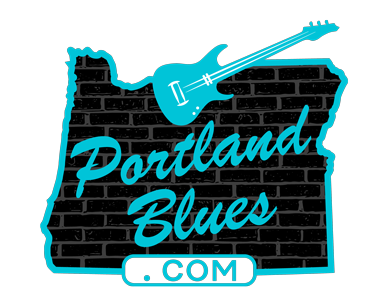 Written in a compact fashion and easily read within a sitting or two, there is still a lot of information conveyed about the multiple Blues Music Award winning performer and the hardships and joys that he has experienced throughout his life. MacLeod’s life is relayed from his earliest beginnings to his latest release “Break The Chain” and its accolades for taking on such issues as his abuse as a child that led to his own anger and decision to cease that history before being brought about onto his own son. His story travels from St. Louis to the naval base in Norfolk, Virginia, from the coffee houses, playing in a band in Los Angeles, and finally to his choice of becoming, for the most part, a solo musician. Throughout his story you are introduced to the musicians who made a difference to him — the backwoods Virginia bluesman Ernest Banks who taught him to be himself and showed him the tricks of the trade in exchange for a six-pack during his visits and George “Harmonica” Smith who became a bandmate and a mentor. Plus many other notable artists he encountered and was accepted by as a white guitarist playing within a black community of musicians; including the likes of Pee Wee Crayton, Robert Lockwood Jr, and Lloyd Glenn. For those who may have enjoyed MacLeod’s monthly column in Blues Revue magazine telling stories of his past, there are a few such here, too. Short tales about Chuck Berry, BB King, and Albert King are among those, guaranteed to bring a smile to your face. 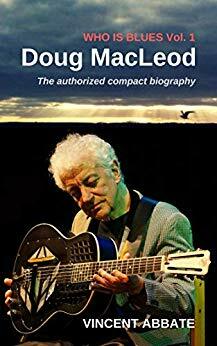 This compact biography of Doug MacLeod may leave a lot out of his life’s story, but for the compact size it really does give a nice impression of one of today’s very best blues artists. By Vincent Abbate. Whoisblues.com. 143 pages.